State Street, Chicago, Illinois, USA, 1908. 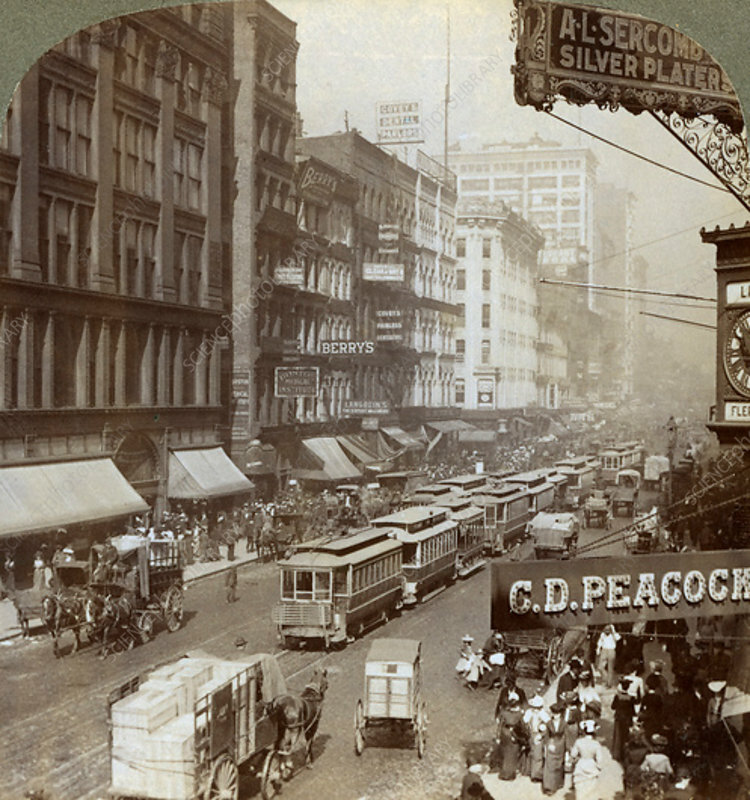 View looking North from Adams Street showing noonday crowds. Detail from a stereoscopic card.